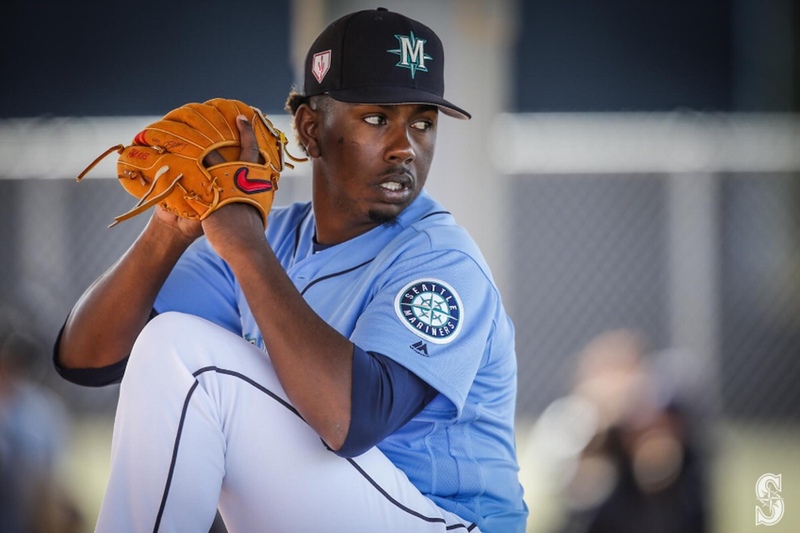 Seattle Mariners top pitching prospect, right hander Justin Dunn was drafted by New York with the 19th overall pick out of Boston College in the 2016 Amateur Draft. He quickly rose through the lower minors and is beginning to make a case for the 2019/2020 rotation. While it’s 100 percent likely Dunn won’t be considered early in the 2019 season however, with a long 162 game season full of injuries there very well may be an open slot for him down the line. We should get somewhat of look before the season starts during Spring Training. Last season, Dunn made it up to the AA Binghamton Rumble Ponies, while he didn’t fare too well, he wasn’t exactly terrible either. He went 6-5 with a 4.22 ERA over 89.2 innings, striking out 105 batters at a 10.5 SO9 for 2018 and a 9.2 SO9 over 3 minor league seasons. It seems that the feeling within the organization is that Dunn is going to miss some baseball bats and I’m not hating the sound of that. Binghamton manager Luis Rojas was quoted on The New York Post saying “His change-up needs to sharpen up” and that “He needs to be more consistent with his fastball at the bottom of the zone. He needs to know when to use his fastball to play up more. Once he becomes more consistent doing that, I know he’s going to keep moving up in the ladder, and he’ll be a big league pitcher one day”. “He still needs to be finished off a little bit, but he has got all the fastball you need and it’s got life… The slider is real good, a great change up and is a real good athlete… He is heading in the right direction” said recently departed executive J.P. Ricciardi to Baseball America. There are a few people out there that think that Dunn won’t be able to develop a third or fourth pitch and is destined to be apart of the bullpen. The righty is not unfamiliar with the bullpen either as he started his collegiate career in the pen before making the move to BC’s starting rotation during his junior year. In my opinion, it’s a positive when you have a pitcher knowing the difference and understanding he’s a lot more valuable when a when a flame thrower is able to do both, especially with starters pitching fewer innings and relievers pitching more. All in all, it’s kind of hard not to have a bro-crush and be excited about Dunn’s career when we keep hearing about his fastball and the life he has on it. I’m not a scout nor will I ever claim to be but my guess is that Dunn will start out the 2019 campaign in AA. However, with the AA and AAA team not too far off from Citi Field, Dunn knows he’s going to have the Mariners Front Office monitoring his every pitch and is potentially a quick call away from suiting up in a Seattle Mariners uniform.